Until now, I have not been honored to review a concert by Cantores in Ecclesia, although I have attended many of their liturgies and concerts in years past. 2014 marks the 17th annual William Byrd Festival, founded by Cantores' Director Emeritus, Dean Applegate. It is one of the summer's annual events to which I, along with many others, look forward to. It is always an experience to be relished to hear this choir sing, especially in a liturgical setting, providing choral music for many Masses and other services in various venues around the city. Their activities, and especially the Byrd Festival that focuses upon the music of this great composer of the English 16th-17th centuries, are not an exercise in arcane or nostalgic (e.g. Latin Masses) museum-pieces but are vital, dynamic forces in musical expression and choral art. Sunday night's final concert (August 24), one of the few in the Festival that carry a charge for a ticket, at St Stephen's Roman Catholic Parish in Southeast Portland, drew a full audience of listeners on a warm but pleasant evening. I attended the pre-concert talk by Dr. William Mahrt of Stanford University who lectured on "The Craft of Composition: Byrd versus Tallis." Unfortunately, the amplification was inadequate and extraneous noise from the narthex and other "clunkings" hampered my listening, and I found his talk more frustrating than instructive. However, I caught a few things that enlightened my interest and made the following concert all the more delicious. Three pieces by Byrd - Emendemus in melius, Laudate Dominum, and Peccantem me quotidie, two from Byrd's Cantiones Sacrae 1575 - opened the evening's performance. Emendemus is Lenten in its mood but the mood changed drastically with a joyous Laudate, which is the brief Psalm 117 (116 in the Vulgate). Interspersed with the choral works were two organ works, played by Mark Williams the conductor, Voluntary for My Lady Nevell, BK 61 and Fantasia, BK 61. The instrument used was a positiv or portativ organ made by local builder Richard Bond and associates, a small, compact one-manual organ with just the right colors for these works. The Fantasia contained many passages of 32nd notes, executed beautifully and swiftly by Williams. Listening to this kind of music is definitely an "acquired taste" to many, I suppose, although this reviewer thought it a good way to allow the choir to rest and to provide other than choral works. Without being too far-fetched, one could say it was like sherbet, or other palate-clearer, served between courses of a fabulous gourmet banquet! Thomas Tallis' famous O nata lux ("O light born of light") and Suscipe quaeso, both from Cantiones Sacrae 1575, with the English O Lord, give thy Holy Spirit introduced the audience to "Master Tallis." After all, he was the teacher of William Byrd and it was only appropriate to have the mentor represented. It might be well at this point to say something about what Cantiones Sacrae was. Copious notes by Kerry McCarthy in the beautifully wrought program fully explained this. The production had much to do with music publishing, royal monopolies and control of all sorts of desirable goods in the late 16th century. Even subterfuge – tampering with details of music to make figures come out even and a Huguenot French printer escaping persecution – played a role. Each composer - Tallis and Byrd - contributed 17 pieces each to the collection of "sacred songs." Unfortunately the book did not sell very well but was simply ahead of its time in some ways. "It captured a unique moment, two adventurous English composers taking the great polyphony of the European Renaissance and making it their own" according to McCarthy's notes. After intermission, Tallis' works continued to be represented: In jejunio et fletu ("With fasting and weeping") and two settings of Salvator mundi ("Savior of the world"). The former is edgily chromatic and Dr. Mahrt called it "experimental" for its day. The program concluded with Byrd's English Arise, O Lord, based on Psalm 44:23ff and an extended meditation on Psalm 51 (Miserere), Infelix ego ("Unhappy am I"). Some of this was in eight parts; the portrayal of Solus igitur Deus refugium meum ("Therefore God alone is my refuge") was particularly stunning. The final declamation of Miserere mei Deus ("Have mercy on me, O God") was triumphant. If I heard correctly Mahrt said this was in "old style" from Queen Mary's Roman Catholic reign and the piety in the text certainly does reflect that. Overall the ensemble of the choir was quite good, save for a bit of over-singing in the tenor section. The soft passages were especially good and each work tapered off to perfection. Some in the choir often were not making good eye-contact with the conductor. As a singer myself, doing this difficult music, I probably would have had my eyes too much in the music as well. Any quirks, though, were more than offset by the obvious joy of this group as they sang together and provided this tremendous gift to the community. The joy was palpable and our long applause thanked the musicians profusely, along with the bouquet of flowers that Director Emeritus Dean Applegate presented. Williams' versatility is amazing: widely-traveled, academically astute, a performer on organ and harpsichord, as well as an excellent conductor - all at the age of 35! 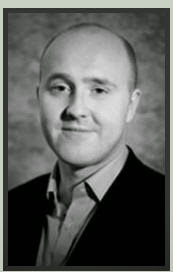 It was fun to see that he was consultant for the music of the crime drama Endeavour on BBC. He augmented the choir with its own conductor, Blake Applegate, who was duly acknowledged at the conclusion of the concert, and with Dr. McCarthy, David Trendell, and Dr. Marht, all scholar/lecturers at the festival. The evening was truly a collaborative effort that provided the audience with much joy in hearing this great music done so very well. The memories of Richard Marlow, co-founder of the festival, Dr. Joseph Kerman, the father of modern Byrd scholarship, Richard Cuddihy, and the Rev. Dr. John Hughes were truly kept alive last Sunday evening! Oregon Symphony Music Director Carlos Kalmar and President/CEO Scott Showalter this week revealed details about the upcoming August 28 Waterfront Concert that highlight the event’s spectacular return. Those details paint a vastly expanded Waterfront Concert that includes a new start time of 2:30 pm rather than the traditional 5:00 pm along with an entertainment lineup that spotlights many of the City’s other musical organizations. Featured groups include Portland Opera, Oregon Ballet Theatre, Portland Youth Philharmonic, Metropolitan Youth Symphony, 234th Army Band of the Oregon National Guard, Hillsboro School District Mariachi Una Voz, BRAVO Youth Orchestras, and Portland Taiko. Special thanks also go to the Waterfront Concert’s other generous sponsors: NW Natural, Boeing, KINK FM and KATU-TV. The Oregon Symphony’s program includes an Oregon Ballet Theatre performance of the Grand Pas De Deux from George Balanchine’s The Nutcracker featuring principal dancers Haiyan Wu and Chauncey Parsons as well as a selection from Bizet’s Carmen with baritone Alexander Elliott to highlight Portland Opera’s upcoming 50th anniversary season. The festivities conclude with the traditional grand finale—Tchaikovsky’s 1812 Overture complete with military cannons from the Oregon Army National Guard 218th Field Artillery. 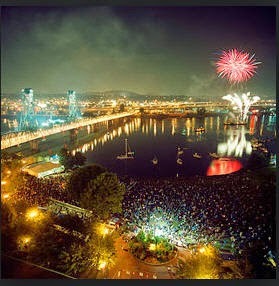 Immediately following the 1812 Overture the skies will light up with an elaborate fireworks display, a signal to everyone in Portland that the musical season has begun. With an expected audience of around 15,000 in Tom McCall Waterfront Park, patrons who bring lawn chairs are asked to bring only chairs that sit low to the ground in order to preserve sightlines for patrons behind them. Complete program details as well as information on all the participating organizations will be available on the Symphony’s website: www.OrSymphony.org/waterfront. Get the Viking helmet and sword ready for Issachah Savage! 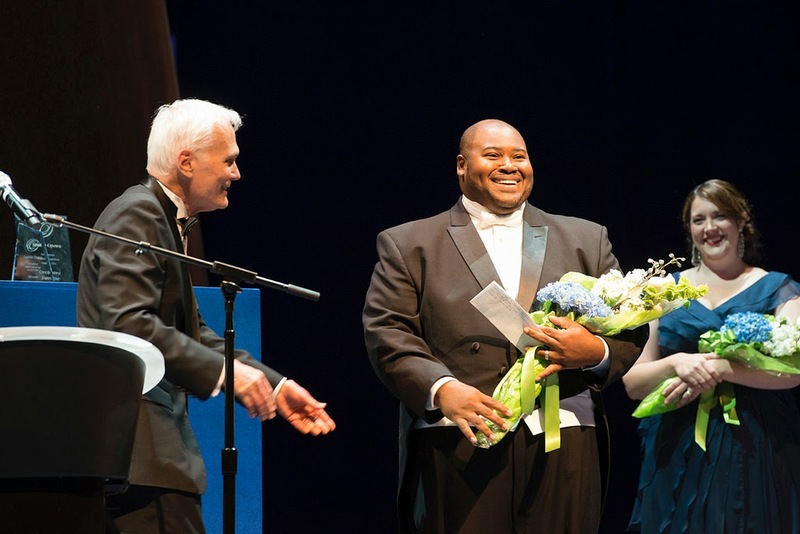 The Philadelphia-based tenor more-or-less made a clean sweep at the International Wagner Competition at McCaw Hall on Thursday evening (August 7). He won the $5,000 audience award, the $5,000 orchestra award, one of two top prizes worth $25,000 from a panel of judges, plus a featured slot in the Speight Celebration Concert on Saturday (August 9). 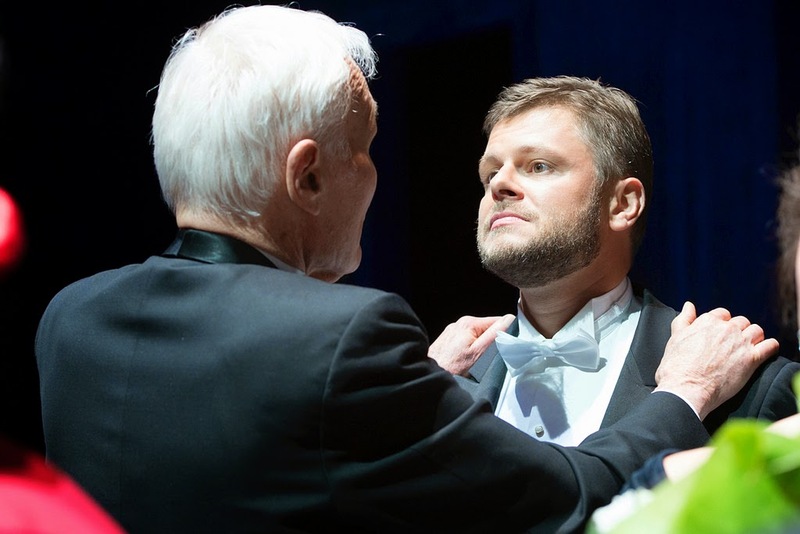 The only prize that Savage didn’t win was the other top prize for $25,000 that he judges gave to Danish tenor David Danholt, who was a late addition to the competition, which seeks to find the next crop of Wagner singers. Savage and Danholt came out on top against a formidable field of seven other finalists. They were sopranos Helena Dix, Tamara Mancini, and Marcy Stonikas, mezzo-soprano Suzanne Hendrix, tenors Rick Furman and Kevin Ray, and bass Roman Ialcic. Each singer performed one aria in the first half of the program and another in the second. 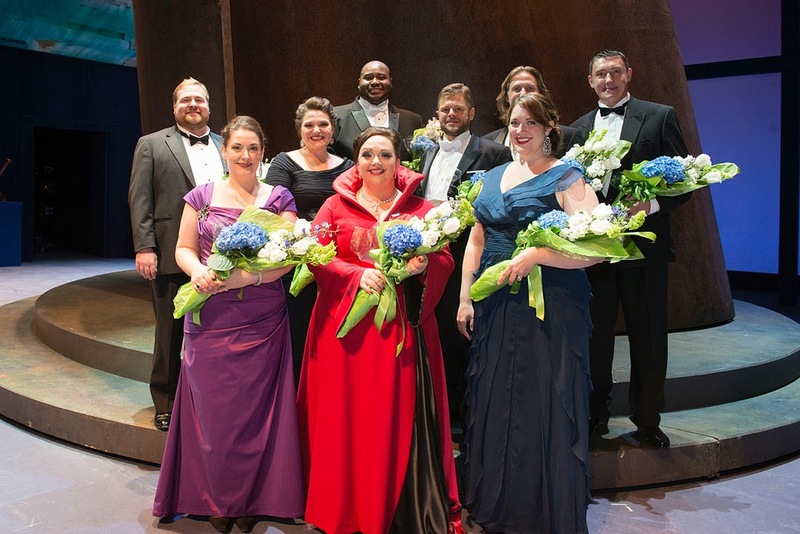 They sang on a well-designed set by Robert Dahlstrom and were accompanied by the Seattle Opera orchestra under the direction of Sebastian Lang-Lessing, who made his Seattle Opera debut in this performance. Hendrix showed plenty of volume in her singing of “Geliebter, komm” from “Tannhäuser” and “Weiche, Wotan” from “Das Rheingold,” and her stellar performance of these pieces caused me to cast my vote for her. But I was very impressed with the beauty of Danholt’s voice as he sang “Nur eine Waffe taugt” from “Parsifal” and the Prize Song from “Die Meistersinger von Nürnberg.” Savage wonderfully captured the emotional content of “Amfortas! Die Wunde” from “Parsifal” and “Mein lieber Schwan” from “Lohengrin.” He also had power to spare and could express a restful quality that none of the other singers had. An independent testament to his ability came from orchestra, which could not see him, yet voted him as the best. Lang-Lessing led the orchestra expertly. He seemed to be in complete sync with the singers. Overall, that made the quality of each aria very high. The judges were soprano Stephanie Blythe, stage director and former singer Peter Kazaras, incoming Seattle Opera general director Aidan Lang, record producer Evans Mirageas, and stage director Stephen Wadsworth. Before the competition started, Jenkins introduced the audience to four new Wagner tubas which were made for Seattle Opera by Andreas Jungwirth, a brass instrument craftsman based in Vienna, Austria. Four members of the opera orchestra performed a motif from “Das Rheingold” and this was followed by a surprise gift, a newly-written leitmotif by Daron Hagen, whose opera “Amelia” was premiered by Seattle Opera in 2010. The Jenkins leitmotif started in the lower register in unison and gradually worked its way to a higher and fairly glorious chord at the end. The sound was very Wagnerian and could probably fit in somewhere in one of the “Ring” operas. After the applause died down, Jenkins announced that Seattle Opera is releasing a live recording of its 2013 “Ring.” The recording should be a bright feather in the cap of Jenkins, who is retiring after leading the company for the past 31 years. I sure that he will be following what happens to Savage, Danholt, and the other young Wagnerian singers as their careers progress. Speight Jenkins has had a remarkable run as general director of Seattle Opera, leading the company for the past 31 years with 1,200 performances and garnering praise from all corners of the opera world for his work. He will be retiring after this month, at age 77, and handing the reigns to Aidan Lang, former director of New Zealand Opera. 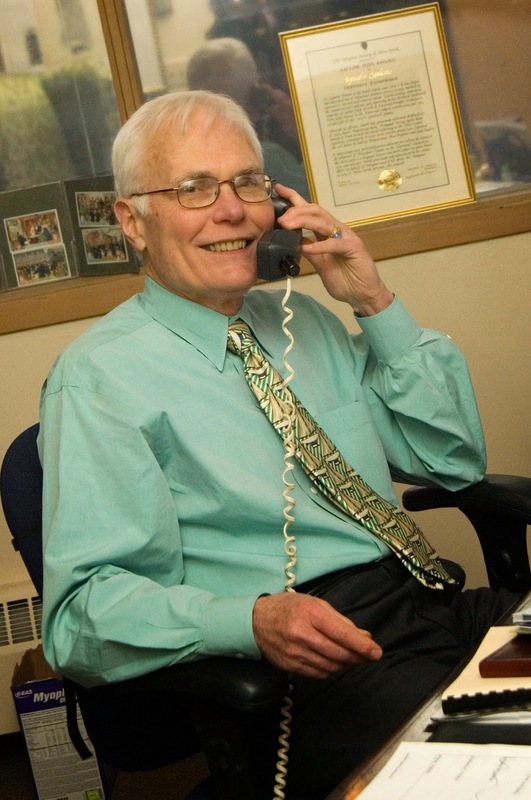 There’s an excellent article by Melinda Bargreen in the Seattle Times that summaries much of his legacy in Seattle. But before he leaves, Jenkins will present the International Wagner Competition tomorrow night (Thursday, August 7th at 7 pm at McCaw Hall) will be honored at the Speight Celebration Concert on Saturday (August 9th at 6 pm at McCaw Hall) so it was high time for me to give him a call before he goes into legendary status. Here is part of our conversation. What are some of the highlights of your time at Seattle Opera? Jenkins: The highlights are the two “Ring Cycles” that we did. The “Ring” is the most difficult thing that you can do in opera, and we succeeded with both them. Overall, the operas that that have done since we opened McCaw Hall in 2003 are a high point. I wanted to do a higher level of performance because of the contribution of the public. Other highlights were Prokofiev’s “War and Peace” in 1990 and Wagner’s “Tristan und Isolde” in 1998. People came from all over the world to see “Tristan und Isolde,” and they loved it. But since 2003, we have been able to maintain a consistency in quality in so many ways that were difficult to maintain before. The acoustic of McCaw is pretty darn good. Jenkins: Yes. That turned out much better than I had expected. How did you come up with the International Wagner Competition? Jenkins: It was a funny thing. At the time, one of our the people in development, Rebecca Chawgo – she is now the director of development at Bellevue College – said to me “I’m so disappointed that we can’t do Wagner this summer. It’s unfortunately for our fundraising efforts.” We went back and forth with some ideas and one of us – I don’t remember which one exactly – came up with the idea of the competition. I like to give Rebecca the credit, but if she didn’t say it, our conversation made me think of it. Then I did some research and found out that nowhere else in the world held such a competition. That made the idea more attractive to us. Ours is the only one, and it has remained that way. We did it in 2006 and 2008, and then the recession hit. So we haven’t done it again until this year. But no one else has done it. There are a lot of competitions for opera singers, but none of them are for Wagner competitions. How does a singer get to participate in this competition? Jenkins: Back in January of 2012, we sent out a notice to all of the opera companies that might possibly have done Wagner plus all of the major companies in Germany, North America, and England. We told them that we will be doing this competition, and it is open to anybody between the ages of 25 and 40, who has sung some dramatic repertoire but not a major Wagner role. So these are singers with a dramatic possibility but they haven’t gotten a big role. The Valkyries, for example, are not big roles. So, prospective singers send us a CD by June 30th. This year we received 65 of them. Then our director of artistic administration, Aren Der Hacopian, and I listened to all of those CDs. Jenkins: It’s not all that much. Sometimes I listen to 30 auditions in a day. So we narrowed the 65 possible participants down to 26. Then we resolved to hear these 26 personally. We heard some of them here in Seattle, some in New York, and some in Munich and London. Then we narrowed that down to eight finalists and two alternates. In 2008, the finalists were mostly Europeans. This time, they are mostly from the United States. But we don’t care where they come from. We are just trying to get the best singers. It’s sort of mind-boggling to think of how many individual voices you’ve heard over the years. Jenkins: For years, I’ve done auditions in New York City, typically three or four days in a week and usually 30 people a day. Of course, I hear auditions here in Seattle, and I go to Europe twice a year. I hear a lot of auditions every year. But that’s just part of my job. You were a music critic before you became the General Director of Seattle Opera. Can that type of thing happen today? Don’t general directors have to take specialized classes in how to administer an artistic organization? Jenkins: There are very few general directors who have taken administration classes. So, what I did in ’83 would be as unusual now as it was then. There are no other music critics in the US who have become general directors, but there’s no reason that this couldn’t happen again. I don’t think that there are any classes for general directors. That’s a pity. I’d love to teach one! The whole process of musical education is very poor in America. For years, my good friend Martin Bernheimer, who is a very knowledgeable person, taught a class in criticism at UCLA. That was really great, but then they dropped it. There’s no course that a person can take to be a music critic much less a general director. The truth of the matter is that general directors everywhere do the same things with some variations. I have had a good situation in Seattle with what the board expects of me and what I do. It seems that Regietheater, which is done quite a lot in Europe, is done only a bit here in the US. Jenkins: Everything in opera starts in Europe and comes here slowly. People have seen some of this in New York and via HD broadcasts. I don’t think that HD is opera, but it is a good movie of opera. That’s an important decision to make. Opera has to be experienced in the theater where the energy passes between the stage and the audience and the audience and the stage. On the other hand, I am very grateful for HD because it reaches places that do not offer live opera. There are places in Washington and Oregon where it is hard to get to Seattle or Portland to hear a live performance. So HD transmissions are wonderful. But it is important to realize what HD is. I agree. The singers, for these performances, are wearing body microphones and there are area mics that pick up their voices for the broadcast. Jenkins: Opera is one of the last places in the world where you can hear true, unamplified human voices. When I was a little boy, and my parents took me to New York, musicals were not wearing microphones. The miking started with musicals. I tend to think of it as ‘the snake appeared.” The first miking was done in 1954 with Julie Andrews in “The Boy Friend” off Broadway. It didn’t affect anything until 1955 or 1956 when “My Fair Lady” was done. They had to mike Rex Harrison, because he didn’t have a voice to sing with. Within four years, every Broadway musical was miked. Now it’s everywhere and totally ridiculous. I can’t go to musicals. It just drives me crazy. It’s so big, and it’s so ugly. Singers don’t really have to sing. I don’t want to be an old man just complaining about things. But when you go back to Bing Crosby and Frank Sinatra, they were great singers, who truly sang beautifully, and knew how to sing. Just from a medical point of view. People today wonder why Rock singers sing a short time and get nodes and have operations. It’s all because they don’t know how to sing. They are literally singing on the vocal chords, which is absolutely terrible. They are singing with their bodies. The may move around a lot and jump around, but they aren't really projecting. They don’t have to. They have a microphone right there. Musicals are just terrible because there just a harshness in the voices. It might seem that I’m just an old man who is complaining about what has happened, but I can’t help that. I think that this is a great loss. Returning back to the International Wagner Competition, how does the judging work? Jenkins: We will have five judges: two general directors (not me), a stage director who used to be a singer, another stage director who is a teacher, and a singer. So it’s a good mix. The singers will perform an aria in the first half of the program and another aria in the second half of the program. The judges will write down their opinions. Then the judges meet and decide who is the two winners are, because there are two $25,000 prizes. We will also have a $5,000 prize that will be determined by the orchestra. The orchestra can’t see the singers as they perform, but they heard them. So that’s always interesting to find out who they voted for. The audience will also participate by voting and that will determine another $5,000 prizes that will be awarded. Audience members will go out in the lobby to cast their votes. Jenkins: I’ll be teaching a course on opera history at Stanford during the winter semester – as a lecturer in the Advanced Studies program there. Otherwise, I will be writing, and working on a lot of different things. I have a blog now. It’s on artsjournal.com, and it’s called Opera Sleuth. I would like to keep lecturing, because I enjoy it so much.